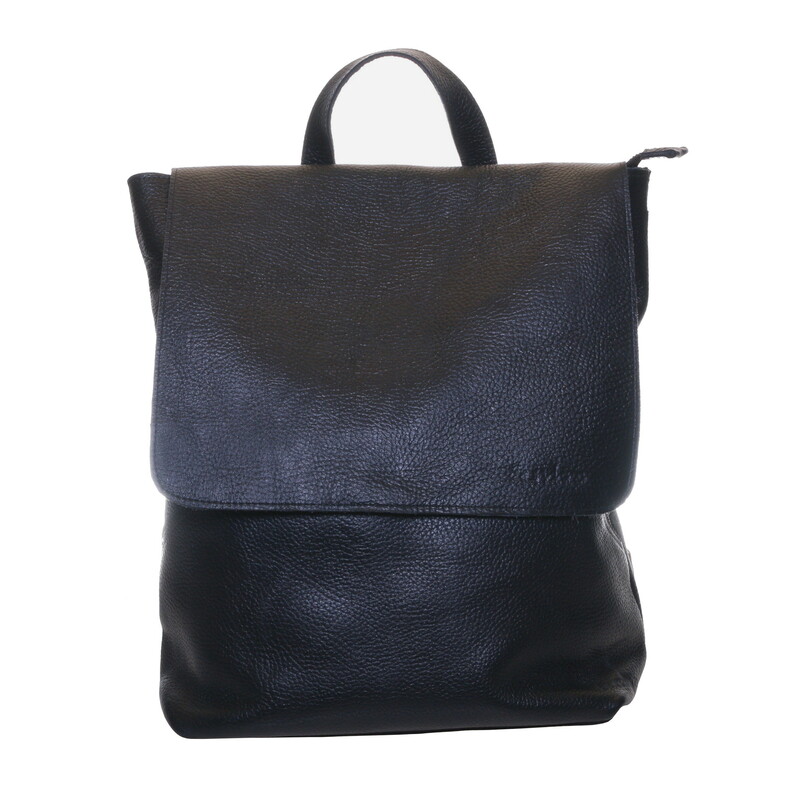 The fair black leather backpack Amanuel is a great laptop backpack. 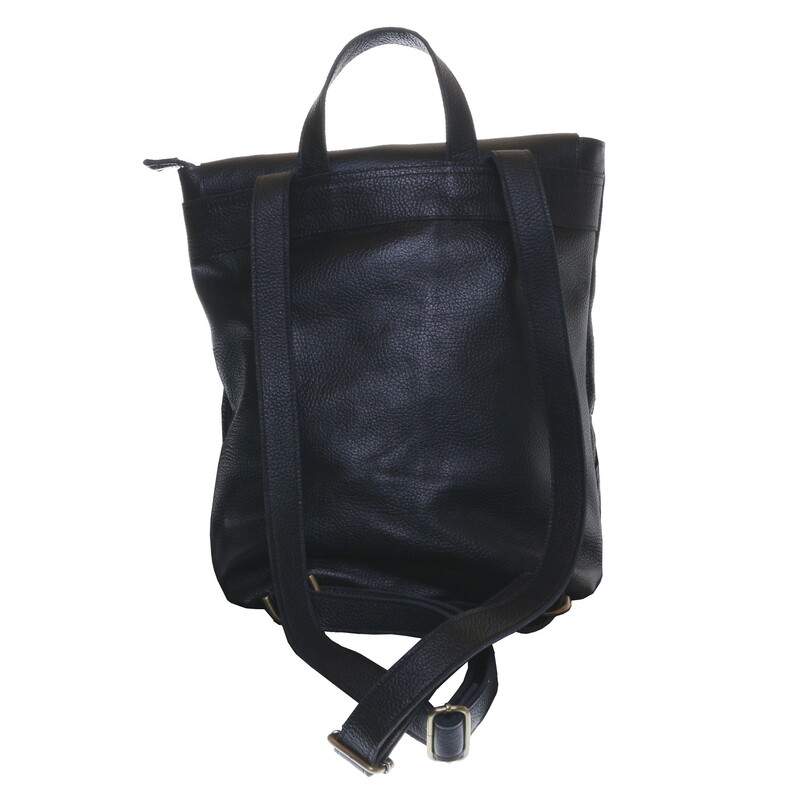 The leather backpack has an extra inside compartment for your laptop that is magnet closed. The backpack is also closed with a magnet. 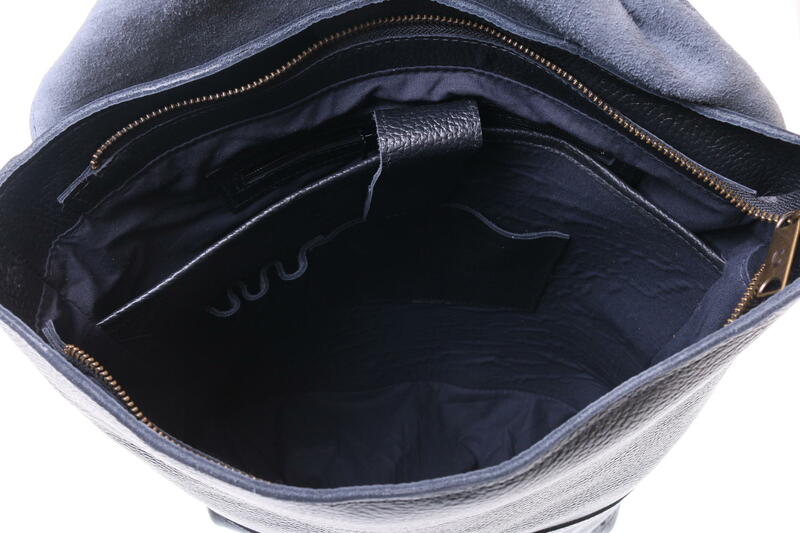 The shoulder straps of the backpack are adjustable. The leather backpack also has a practical hook on top. 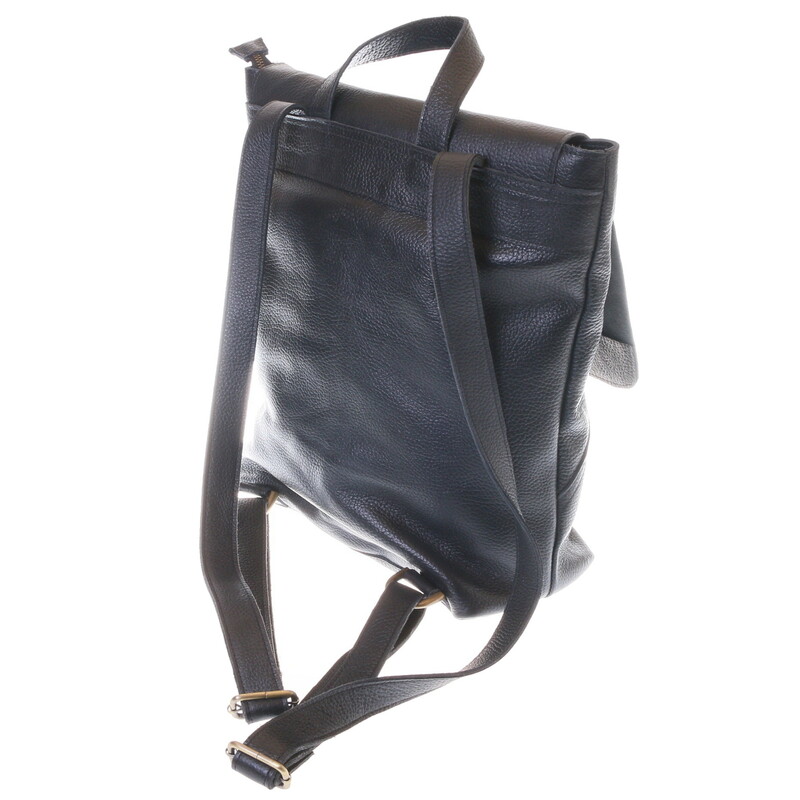 This genuine leather backpack, handmade in Ethiopia, convinces through its high quality, nice design and functionality. 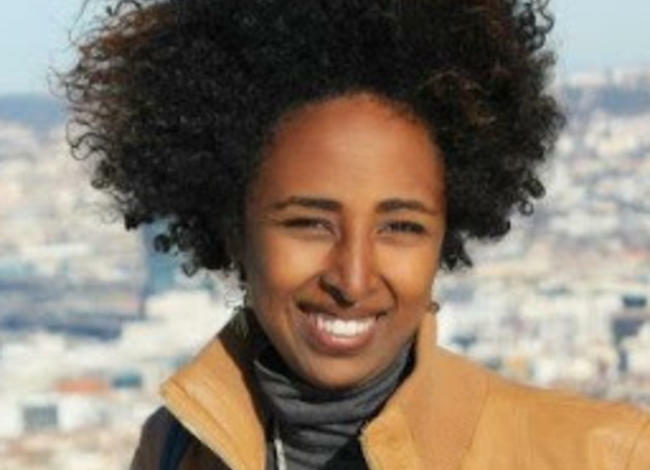 The backpack is made from Ethiopian cow hide. The black leather backpack has two open inside pockets and one zipper-closed inside pocket to keep everything in order in your backpack.